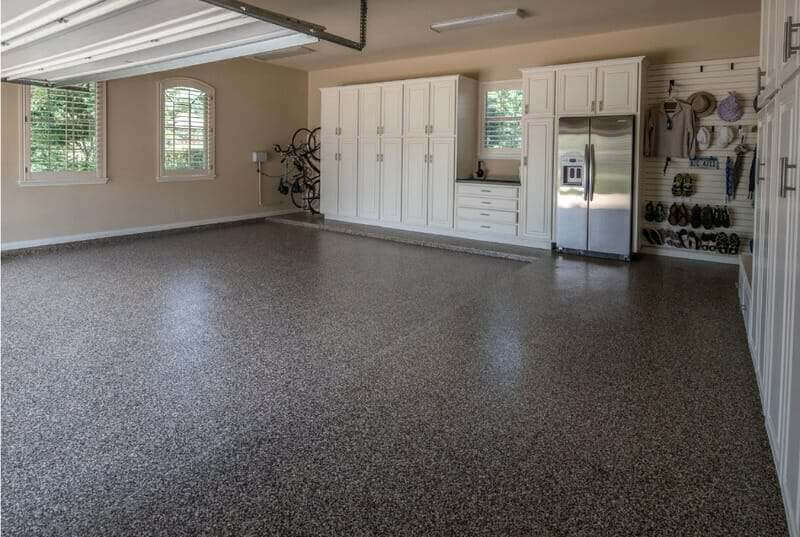 Some garage floor paint ideas are better than others. 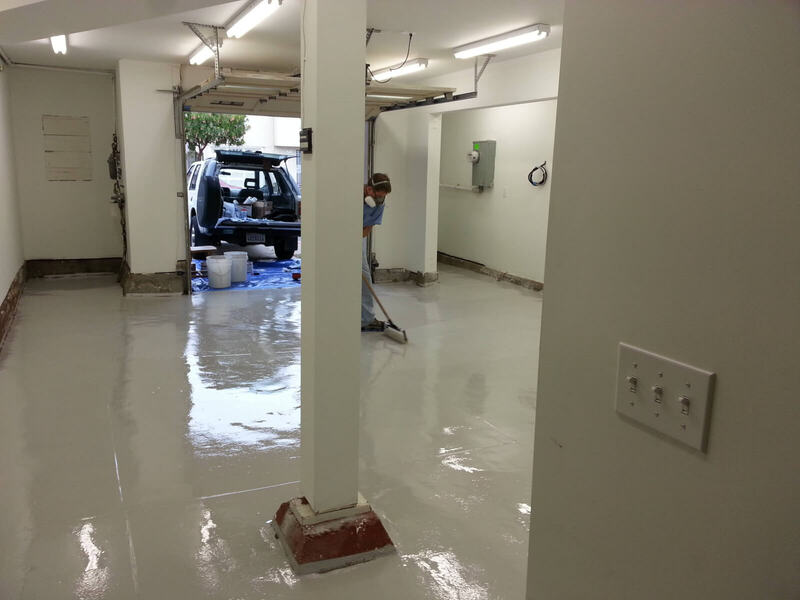 In fact, one of the worst garage floor paint ideas is the concept of using paint to begin with. 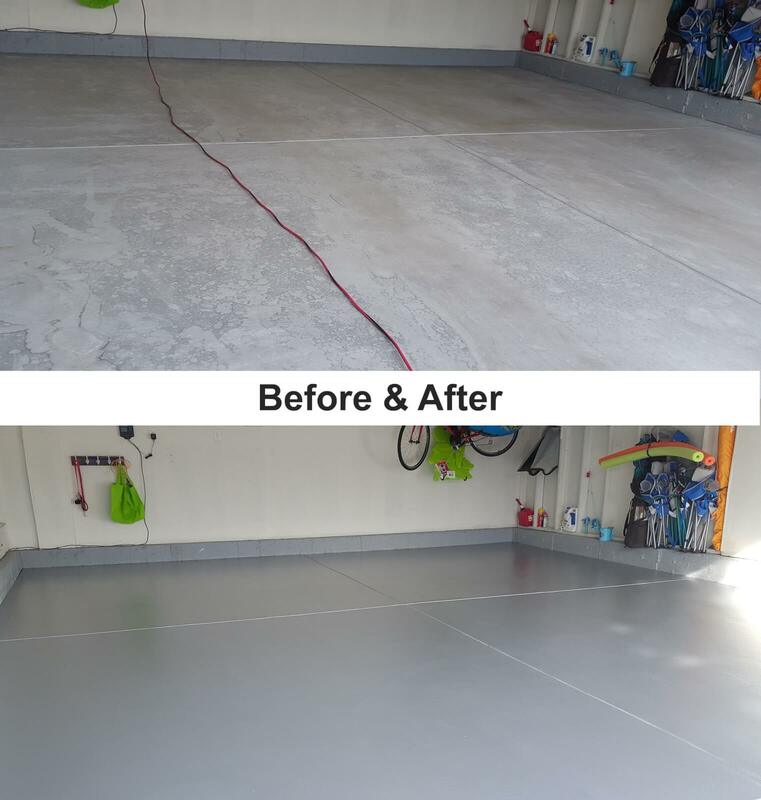 Paint your walls, paint your car or your house, but painting the garage floor is one of the worst ideas a person can come up with. 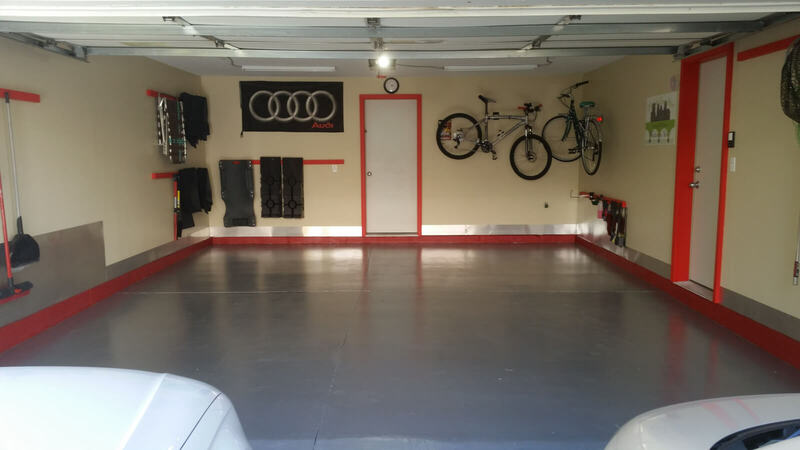 That said, there are several great garage floor coating options on the market. Paint is just not one of them! 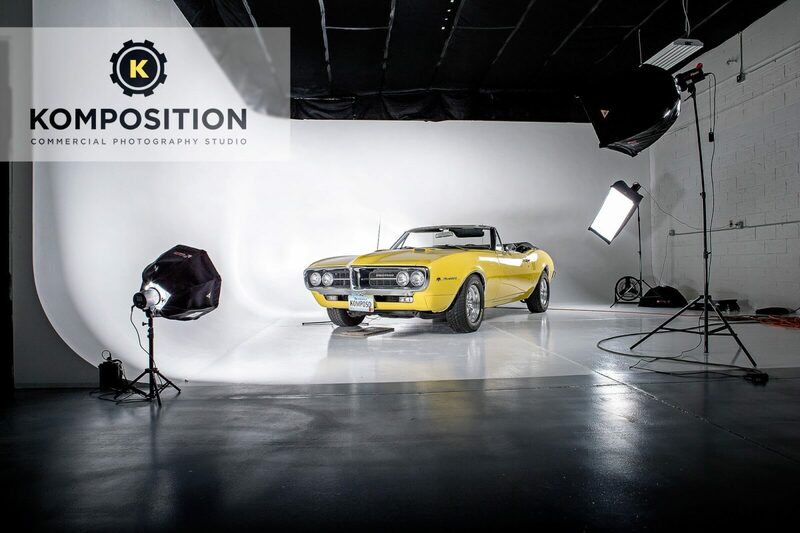 Water based and oil based paints are simply not designed to put up with automotive traffic. 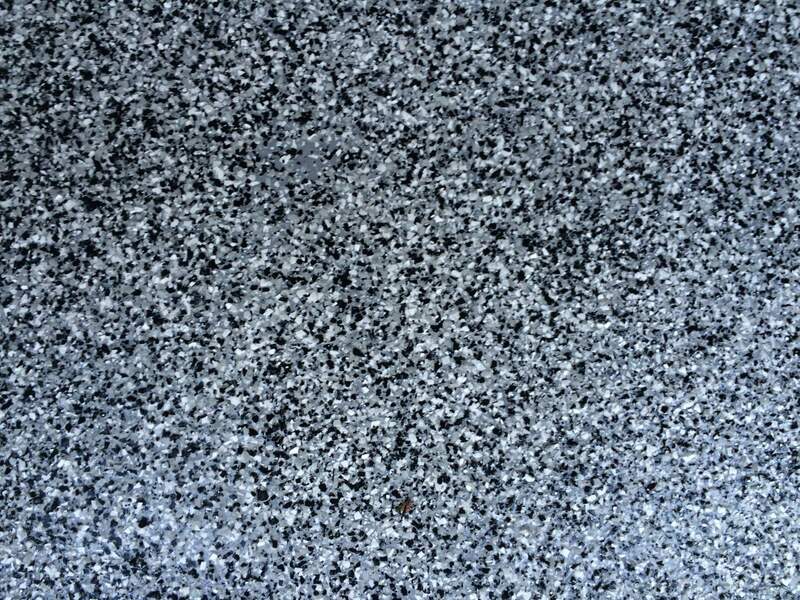 They are also not designed to adhere to smooth concrete that has not been properly prepared. Paint is generally very thin, lacks chemical resistance, abrasion resistance and UV resistance. 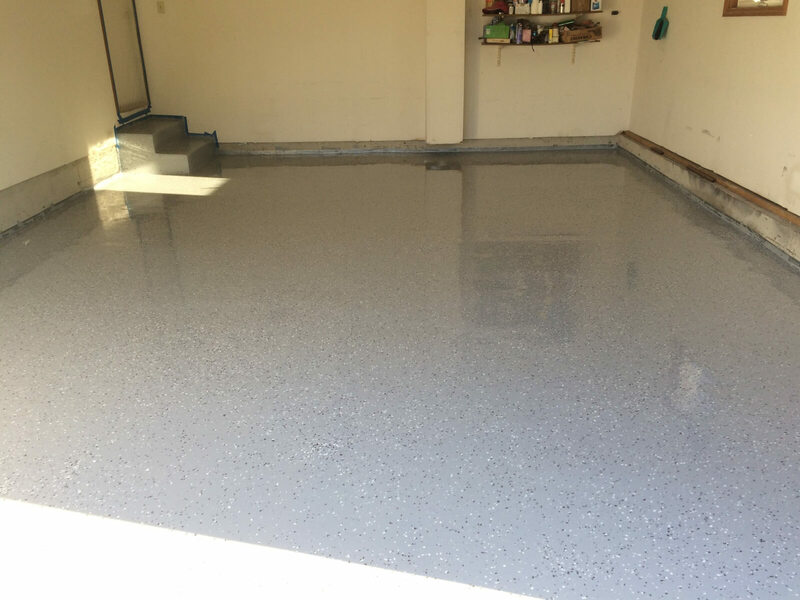 All of these issues are a daily occurrence in the garage and play a major role in the determination that painting the garage floor is simply a bade idea. 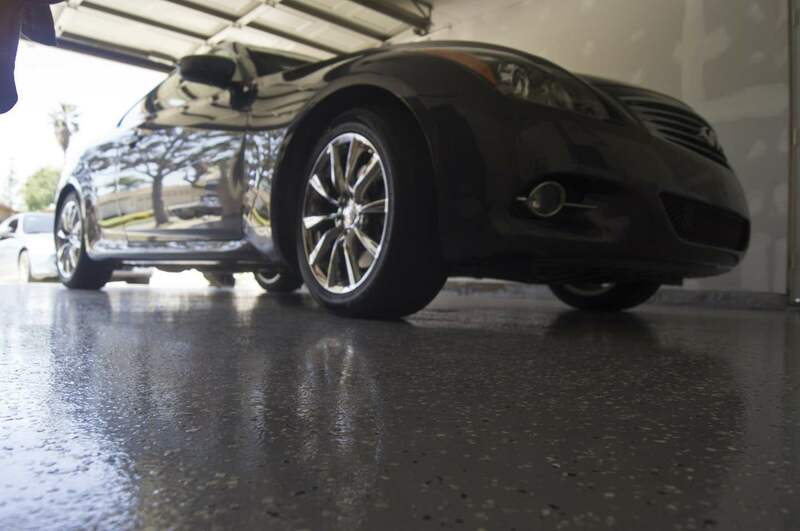 Garage floor coatings have come a long way over the last decade. 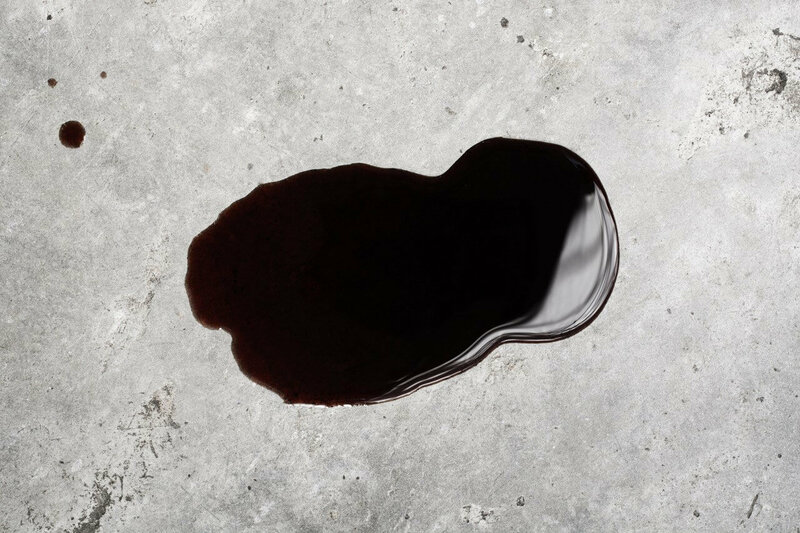 Products like TrueLock and Rust Bullet provide beautiful, long lasting options for your floor that will stand the test of time. 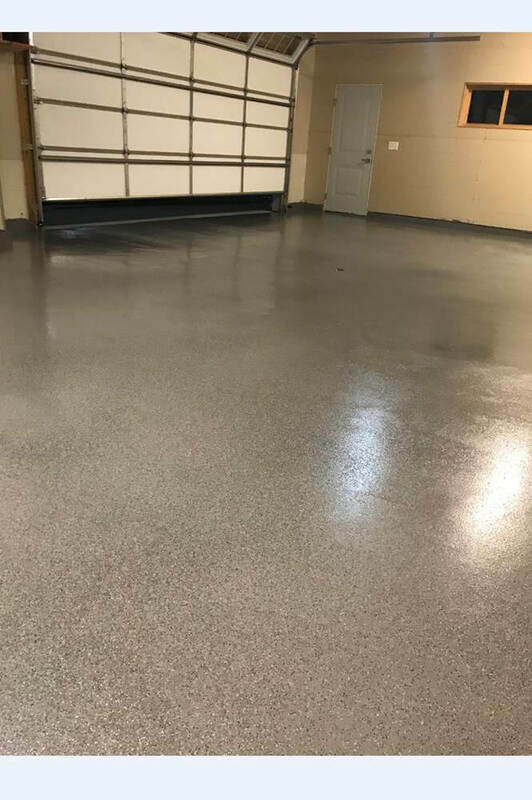 TrueLock offers a full range of epoxy products, densifiers and sealers while Rust Bullet offers a urethane based solution to your garage floor coatings needs. 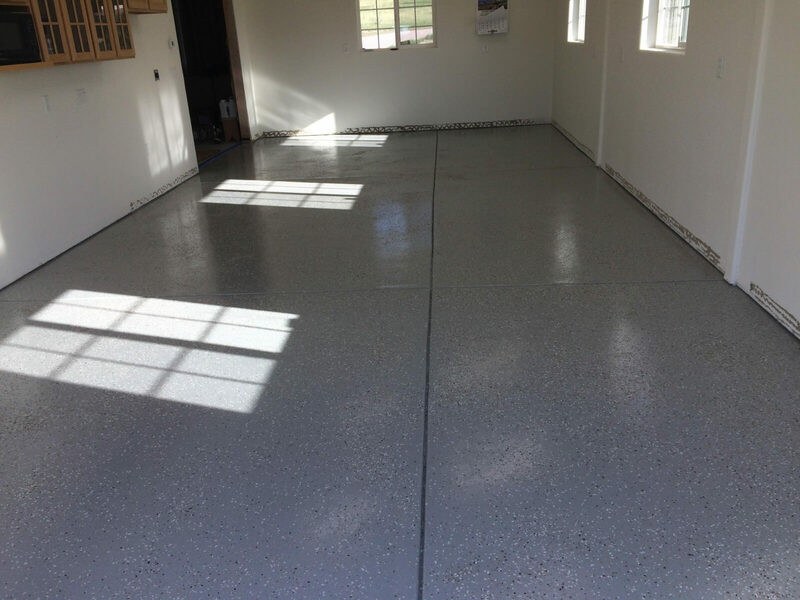 Epoxy generally requires a substantial amount of floor prep and Rust Bullet is generally installed over clean, dry, sealer free concrete with no etching or grinding. 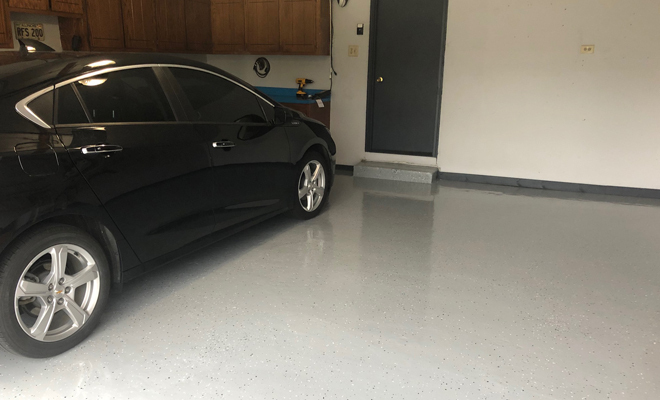 If you want a system that will stand out, TrueLock makes a metallic garage floor epoxy stystem that will leave your friends drooling and your wife thoroughly impressed. Rust Bullet has a series of top coats to add color. 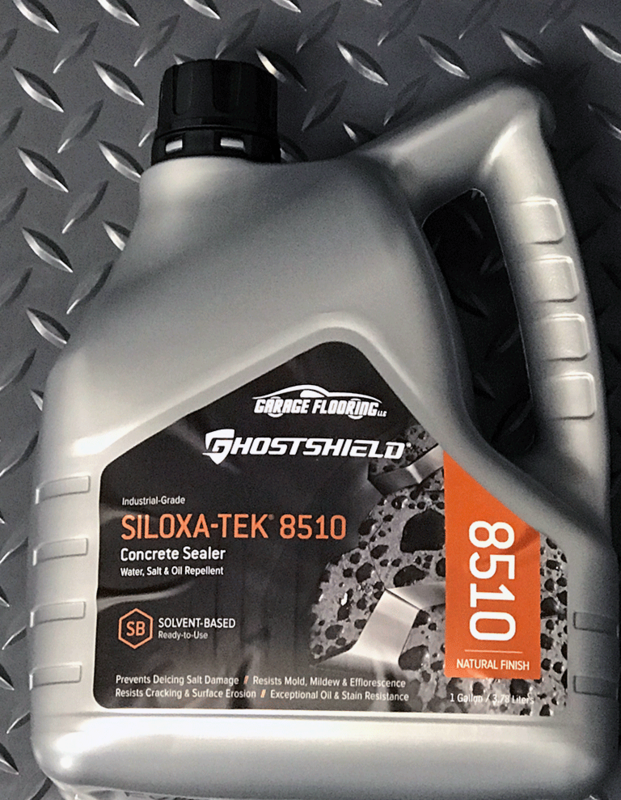 Paint chips are also used in Rust Bullet and epoxy products for additional design options. 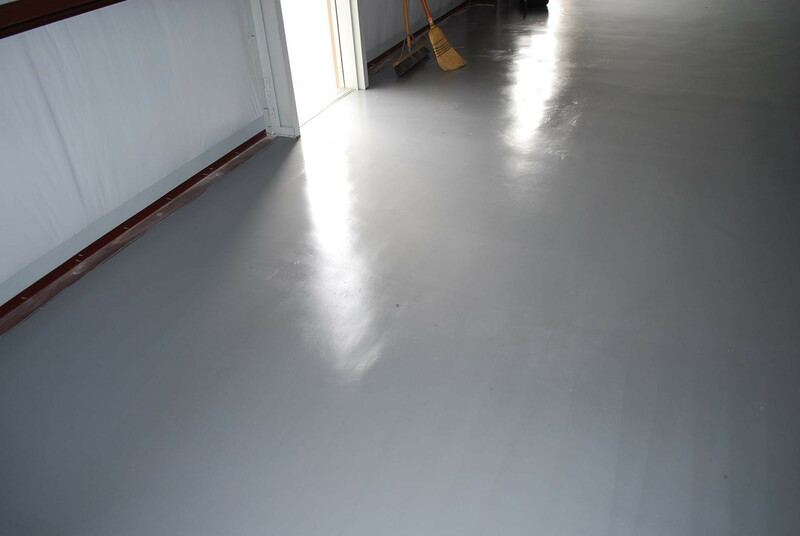 One additional option to consider is a high gloss penetrating sealer such as TLPPC. 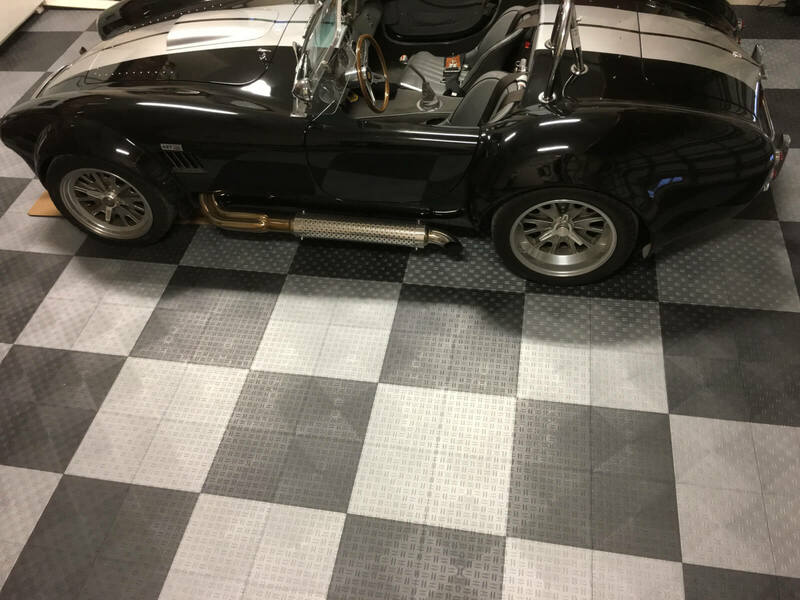 This product penetrates like a traditional sealer, but the urethane component leavea a fun shine like not other paint or coating product will.